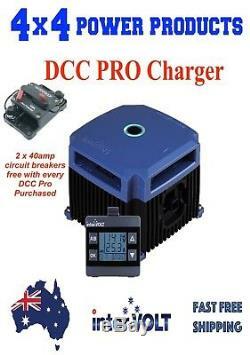 UNDOUBTEDLY THE BEST DC 25AMP CHARGER AVAILABLE THESE UNITS ARE BUILT TOUGH FOR AUSTRALIAN CONDITIONS. FITS EVERY VEHICLE MANUFACTURED WITH EITHER OLD STYLE. 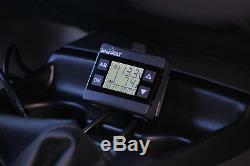 ALTERNATOR OR ECU TEMP COMPENSATING ALTERNATORS. NO NEED FOR DIFFERENT MODEL UNITS AND CAN BE CHANGED FROM VEHICLE TO VEHICLE. IP 67 RATED FOR SO CAN BE FITTED ANYWHERE ON VEHICLE (EVEN ON THE CHASSIS/SUB FRAME). RATED TO 85 DEGREES (WILL KEEP THE DRINKS COLD IN THE TOUGHEST CONDITIONS). LATEST SOLAR MPPT TECHNOLOGY REGULATOR. No Need to mount shunts etc or expensive Cabling. NO NEED FOR A MONITOR THAT COST HUNDREDS OF DOLLARS AND EVEN MORE TO WIRE UP. Simple to Wire and no Relays. The DCC Pro was developed for the purpose of charging and maintaining any auxiliary battery in an installation. Where the starting battery is used as the supply source. It has been designed for use in. 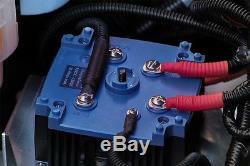 Coaches, caravans, campers or any vehicle with a 12VDC electrical system. The DCC Pro is built for our tough Australian conditions. Unlike many imported products, particularly those produced for the European market. It is designed to maintain output in the harshest of environments. Under the highest ambient temperatures. The DCC Pro is a standalone power conversion device. It will manage a variety of different battery types according to their specific charging requirements. 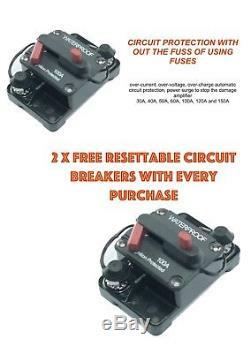 As no modification to the vehicles original wiring is required. 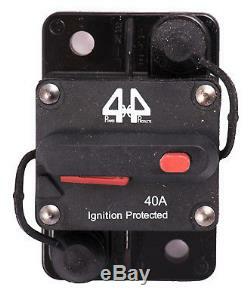 This ensures the manufacturers electrical system is not compromised in any way. The DCC Pro is a highly innovative product with many unique features. It has the flexibility to adapt to almost any vehicle, old or new, simple or complex with or without an ECU controlled electrical system. And even allows the operator monitor the charging status from the comfort of the cabin! 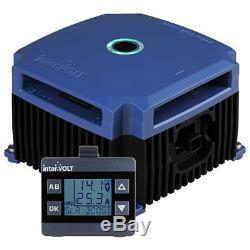 Is a true 25 Amp charger, that is, 25 Amps at 50°C all day, every day. In addition the DCC Pro will continue charging at reduced output right up to 85°C! Remote monitoring from the comfort of the driving seat. The DCC Pro is kitted with an interactive. In-cabin display for remote monitoring of the auxiliary charging status. From both main and solar power charging sources. Solar ready no need for a separate regulator or relay. The DCC Pro is a complete MPPT solar charge controller. Than a standard PWM regulator. Under bonnet charging device is dust and water proof. The DCC Pro is sealed to IP67 standard. And is designed to be mounted in the engine bay or on the chassis itself. The DCC Pro can handle temporary submersion! Capable of monitoring two chargers on a single display. 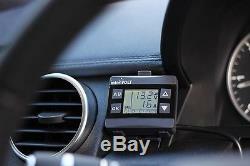 The DCC Pro Remote Display can accept and monitor two Individual Charging Devices at once! Solar Input: 27 VOC max. Watts nominal (300 Watts peak). Device: 112 x 112 x 75mm (including terminal cover). Remote Display: 60 x 36 x 59mm (including mounting bracket). Including LED indicator <10mA (in standby). With backlight off: 10mA max, With backlight on: 30mA max. Boost Voltage - Standard Lead Acid. Boost Voltage - Absorbed Glass Mat. Boost Voltage - Gelified Electrolyte. Boost Voltage - Lead Calcium. 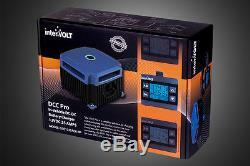 The item "INTERVOLT DCC Pro INTEGRATED BATT MONITOR DCDC BATTERY CHARGER Australian Made" is in sale since Sunday, April 2, 2017. 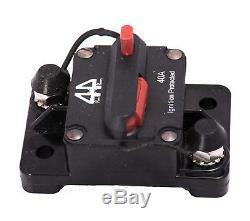 This item is in the category "Vehicle Parts & Accessories\Caravan Parts, Accessories". The seller is "4x4powerproducts" and is located in Hemmant, QLD. This item can be shipped worldwide.